November 30, 2018 November 30, 2018 Pesso's IcesLeave a Comment on 🎁 Looking for the perfect Holiday Present? Pick up a Pesso’s Gift Card! Get 10% off our eGift Cards for a Limited Time Only! 🎁 Click the link in our bio or go to wwww.pessosices.com/giftcards Prefer a Plastic Gift Card? Order through our site & we’ll mail one to you! 🎁 Looking for the perfect Holiday Present? Pick up a Pesso’s Gift Card! Get 10% off our eGift Cards for a Limited Time Only! 🎁 Click the link in our bio or go to wwww.pessosices.com/giftcards Prefer a Plastic Gift Card? Order through our site & we’ll mail one to you! 🎁 Looking for the perfect Holiday Present? Pick up a Pesso’s Gift Card! Prefer a Plastic Gift Card? Order through our site & we’ll mail one to you! 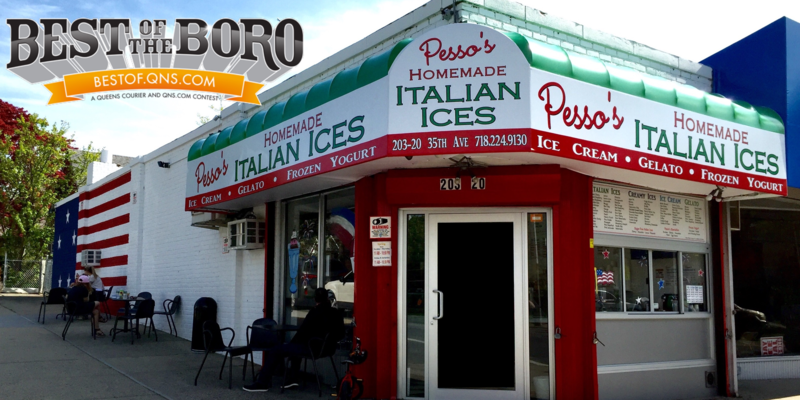 Previous Limited Time Only: Get 10% off Pesso’s eGift Card Happy Holidays! Give the gift of Homemade Ices & Ice Cream, and save 10% off on our digital Gift Cards! Get them delivered by email either instantly or on the perfect day! Click the Link in our Bio or go to https://ift.tt/2KtYcvT Prefer to send a Plastic Gift Card? Order through our website and we’ll mail out the traditional physical Gift Card! Next Happy Hanukkah from all of us at Pesso’s!